To be standing together in a frosty field, looking up into the sky, marveling at birds and reveling in the natural world around us, was a simple miracle. And I wondered why we were so rarely able to appreciate it. 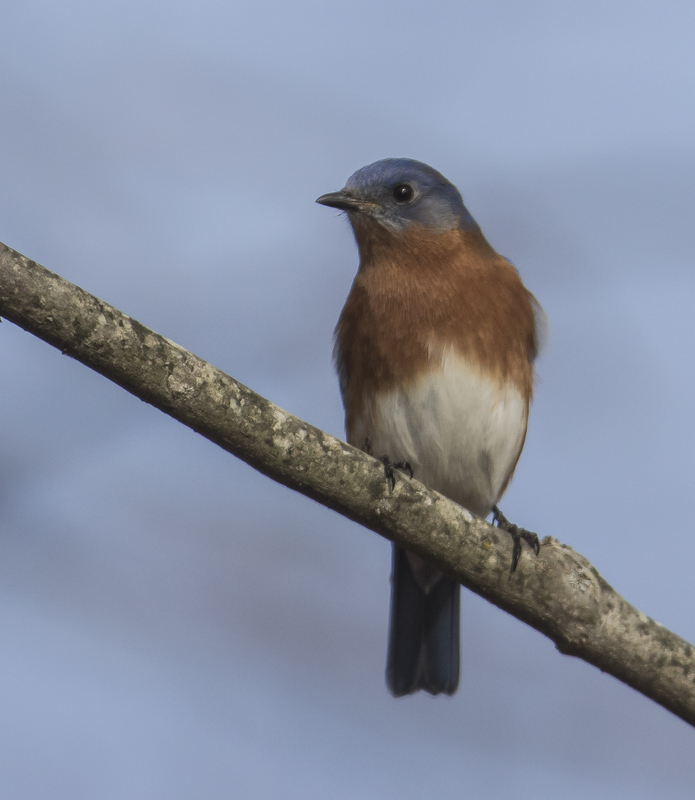 There are at least 15 to 20 bluebirds foraging through the natural area, often returning to a few American holly trees to glean what must be the last few berries. They also spend a lot of time sitting and watching, then dropping down to the ground like small hawks, picking up unseen morsels (maybe some insects moving about in a sunny spot). Numerous small birds move through the woods, often together in a mixed feeding flock. In addition to yellow-rumps, I saw ruby-crowned kinglets, Carolina chickadees, tufted titmice, song sparrows, dark-eyed juncos, and American goldfinches. It was the woodpeckers that really had my attention in one particular patch of woods. 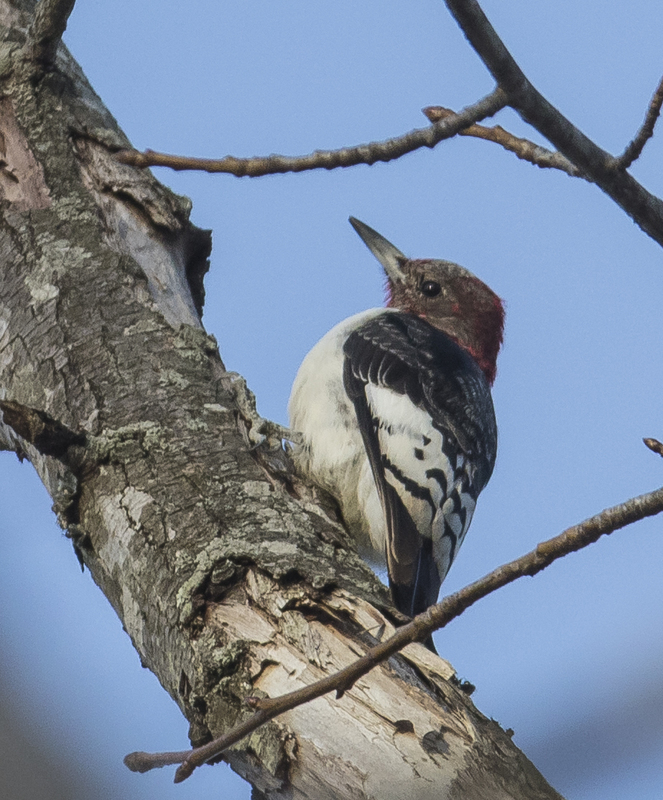 There was a downy woodpecker, red-bellied woodpeckers, and several Northern flickers. 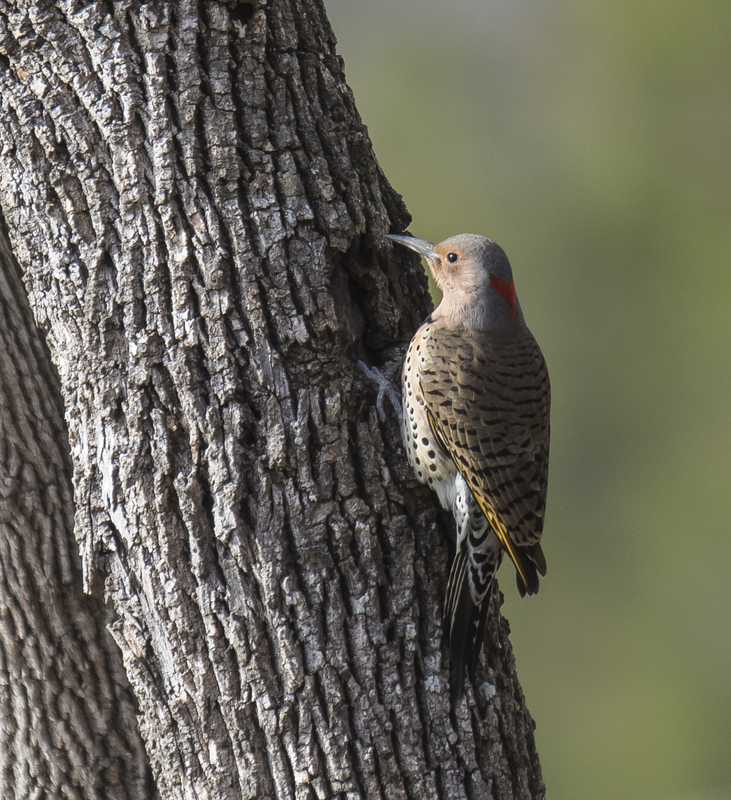 I watched one female flicker (she lacks the black mustache of a male) repeatedly poking her bill into a small knothole on a tree. Others were doing what flickers often do, hopping around on the ground probing for one of their favorite foods – ants. 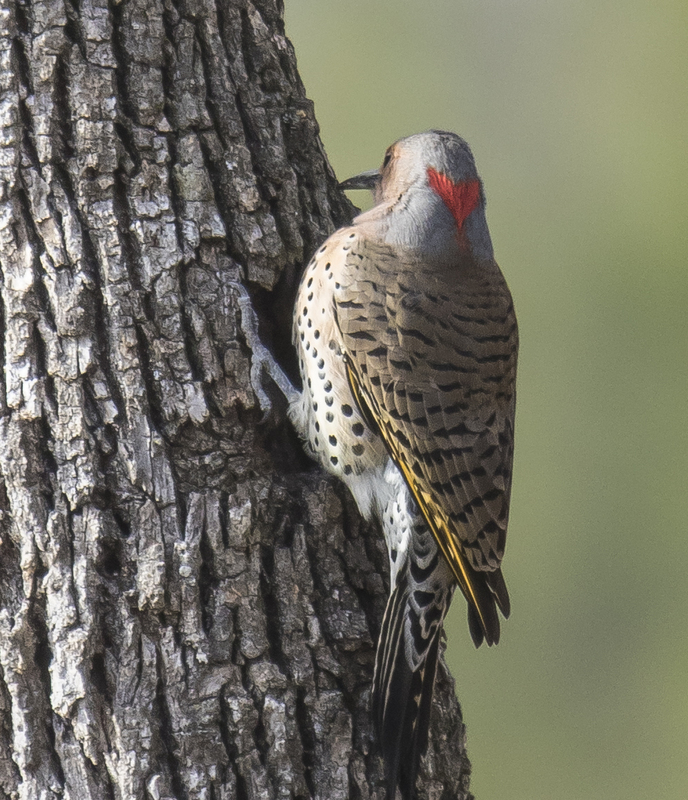 Flickers really are beautiful birds when you get a chance to study their varied plumage. The red heart-shaped patch on the back of the head is particularly pleasing. Many of the small black dots on the breast are also heart-shaped. Perhaps a bird better suited for Valentine’s Day than Christmas. The highlight of my walks was the chance to watch several red-headed woodpeckers forage, chatter, and chase one another. I don’t see them often where I live, as they seem to prefer places with lots of standing dead trees in relatively open habitat, like beaver swamps. They are one of noisier woodpeckers, chattering frequently, allowing me to find them easier than many other species. Adult males and females look alike, with bright red heads and a boldly patterned black and white body. It was digging out acorns that it presumably had stashed in the loose bark of the snag. 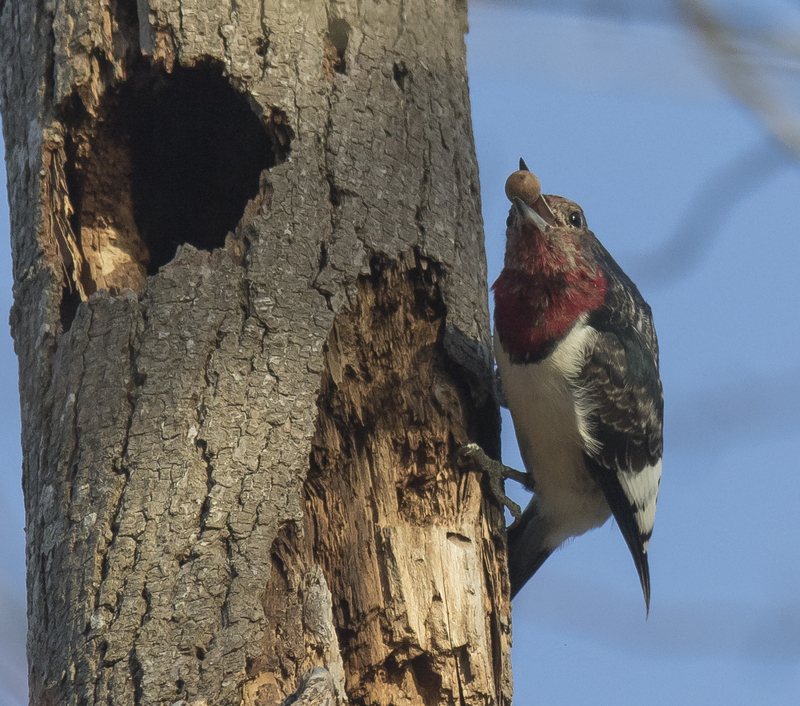 Red-headed woodpeckers are one of the few species of woodpecker that regularly cache food. It is also considered our most omnivorous woodpecker with a diet that includes seeds and nuts, insects, berries and fruits, birds eggs and nestlings, and even mice. 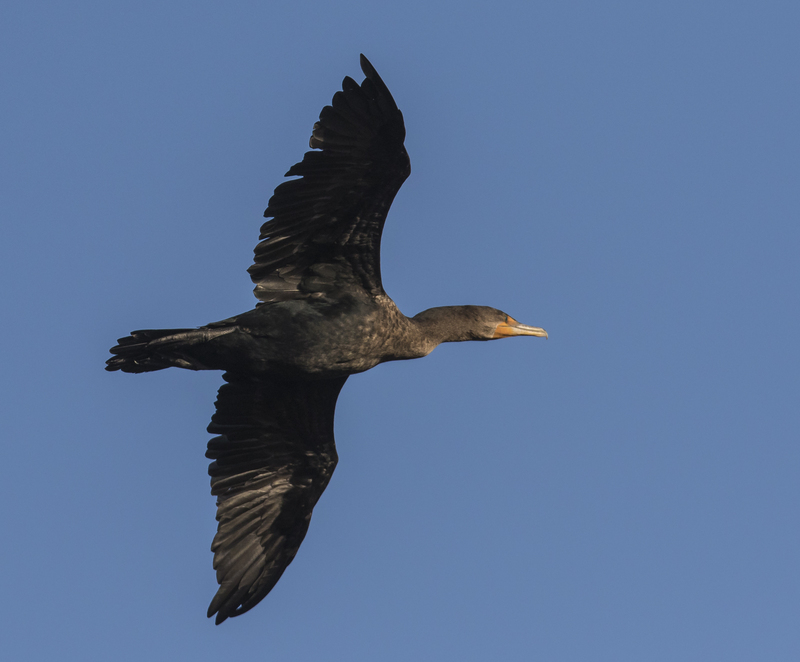 The most noticeable birds along the reservoir were the hundreds of double-crested cormorants that flew in and out every afternoon and morning. I stood at the edge of the water and watched them fly by me, turn back into the wind and land, either on the lake, or in the trees on an island a few hundred yards away. 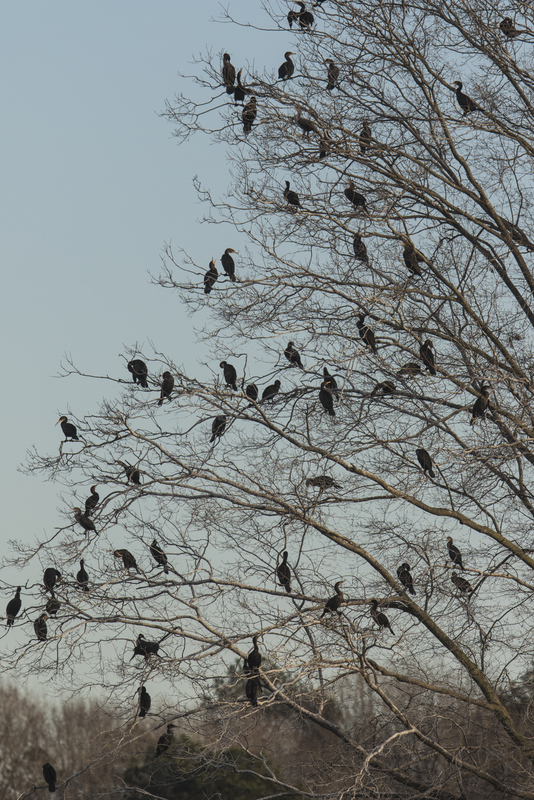 The cormorants have used this island as an evening roost for at least the past few years. They make a lot of noise at the roost – various squawks and grunts, plus a lot of splashing and washing in the water near the island. A fleet of ring-billed gulls swam nearby, as well as several species of waterfowl including pied-billed grebes, ruddy ducks, buffleheads, mallards, hooded mergansers, Canada geese, and a few ring-necked ducks. I always enjoy seeing ring-necked ducks with their distinctive ringed bill and bold color pattern (that head can be quite purplish in the right light). Surely, the bearer of one of the least descriptive common names for a bird, the ring-necked duck is known to hunters by the much more reasonable common name of ringbill. 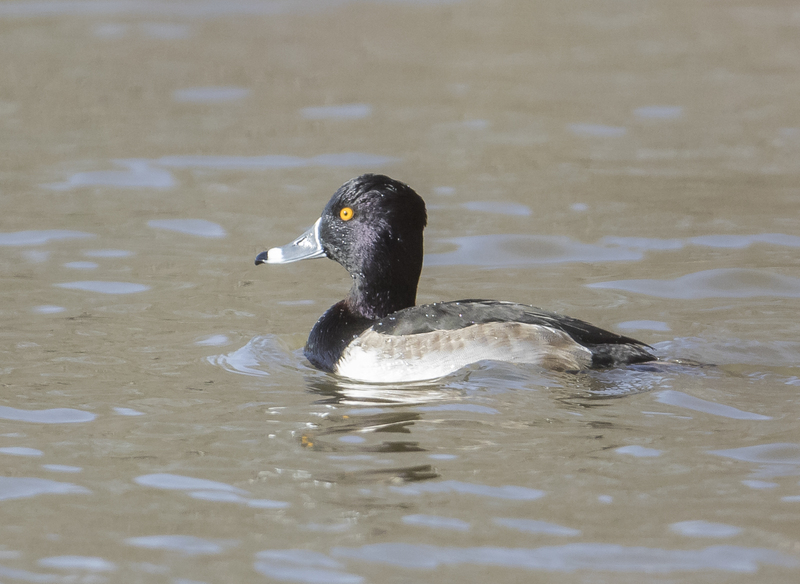 There has even been a recent attempt, perhaps tongue in beak, to rename this beautiful duck to more accurately reflect its appearance (see http://www.audubon.org/news/its-time-rename-ring-necked-duck). The actual ring on the neck is a narrow chestnut brown band separating the dark head color from the dark breast feathers in the males only. Not a very useful field mark at all. All of these birds are all a delight to see on a cold winter morning (especially the two immature bald eagles that sailed by). So, this holiday season, be sure to get outside and give yourself the gift of “…marveling at birds and reveling in the natural world around us”. 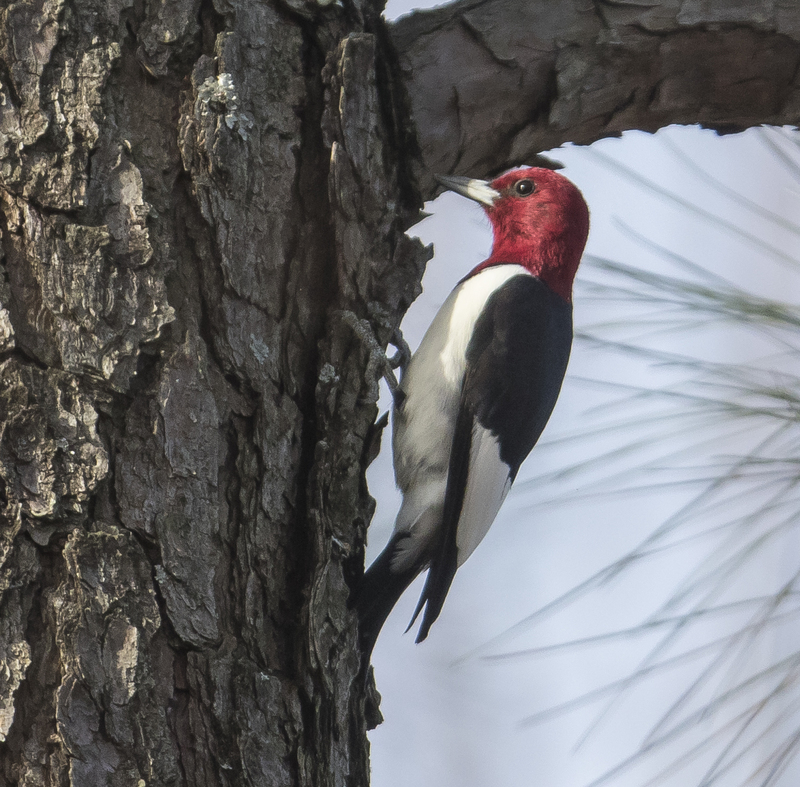 This entry was posted in Natural History and tagged birds, red-headed woodpecker by roadsendnaturalist. Bookmark the permalink. Wonderful photos! Hope you and family have a joyful holiday! Thanks, Wendy. Likewise to you, John, and the boys! Thank you for a year of fantastic wildlife photos. You are welcome, Tad, so glad you enjoyed them. Nice! 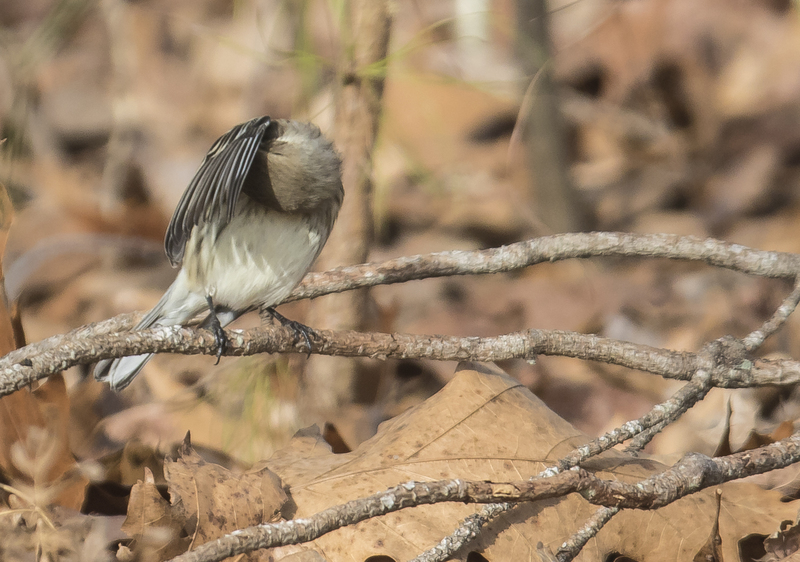 My husband and I are hoping to get over to Mason Farm today, a nice birding spot in Chapel Hill, NC. Good luck! Love that place.